There are no upcoming public events at this time. Get to know the Bay Hill Ranch, one of two ranches in the Bodega area owned by Freestone Ranch producing grass-fed, holistically managed beef. Meet the ranchers (Jon and Misty Gay), the Bay Hill Ranch property and the happy, healthy cows. 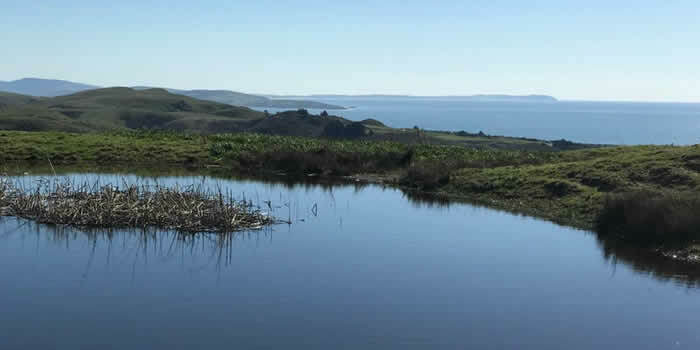 In this event, we will take a hike to see what coastal erosion into Bodega Bay looks like and what we are doing to make our watershed healthier. We will walk about 2 miles on dirt roads and some steep hills and fields for about 2 hours. We will see the Quinlan Gulch Creek, discuss the ranch's grazing model, look at various watershed improvement projects, answer any of your technical questions and enjoy the beauty of the coastal land. 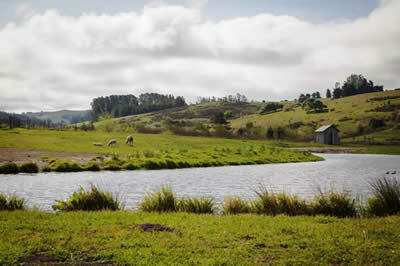 Gold Ridge Resource Conservation District will talk about the ranch's recently written Carbon Farm Plan and the projects it prescribes to help the ranchers act on global climate change right in Bodega Bay. Projects like applying compost, planting along the creeks, drainages and wetland areas, and excluding cattle from sensitive areas are helpful to repairing the soil and sequestering carbon dioxide. In turn, the ranch has healthier soil, which gives healthier forage and healthier cows. Read more and register for the event here. 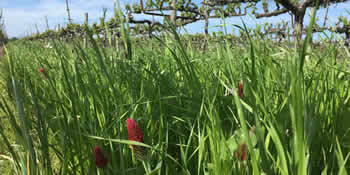 Join Sonoma RCD and David Gates, Senior VP of vineyard operations at Ridge Vineyards, to hear insight on their cover crop and alternative tillage practices. Participants will tour practices in the vineyard, followed by a lively discussion and Q & A on different strategies to optimize soil health and grape quality. The tour includes an optional visit to their hedgerow at the end of the morning. RSVP here with Eventbrite. Join the Sonoma County RCDs at this annual grower event hosted by the Sonoma County Winegrowers. More information coming to sonomawinegrape.org soon. 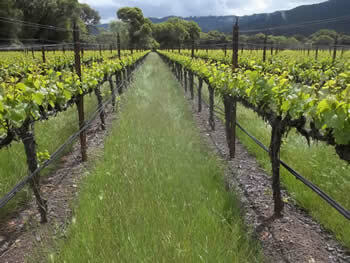 Professionals and growers will discuss vineyard practices that improve soil health and sequester carbon. Topics include cover crops, compost, alternative tillage techniques and planting woody plants. Each topic will feature an introduction from a knowledgeable professional, followed by a grower panel who will share their experience, perspective, and considerations for implementing the practices. Read more at SoilHub.org. The copious rain delivered by recent storms is a drastic change after five consecutive years of drought, and the soil is beyond saturated! We understand that it is hard to manage lots of water and so in response have put together a workshop to offer ideas on how to manage winter runoff. How can we make the most of rain, protect soil from erosion and landslides, prevent potholes, increase infiltration to water tables and prepare for future drought? 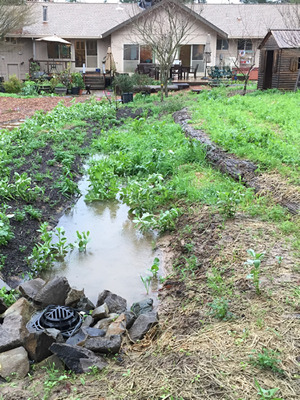 Join Gold Ridge and Sonoma RCDs and partners for a tradeshow-style workshop that explains good water stewardship practices. You will have access to experts and information on where to get the tools or help you need. We'll cover a suite of projects that store, slow, spread and sink stormwater, including rainwater catchment, permeable paving, rain gardens, earth works, and more. Bring your questions, ideas, and concerns about managing water on your property. We hope to see you there! March 24th, 2017, the community is invited to "confluence" at Shone Farm for an educational and inspirational meeting of the minds. 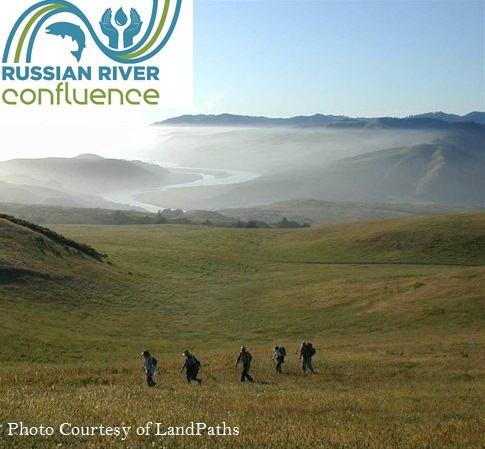 The Russian River Confluence is a unique event intended to engage the region's stakeholders, encourage storytelling and identify actions to promote a holistic, 'beyond sustainability' approach to the watershed that ensures its resiliency and renewal. Local partners including the regional RCDs, Sonoma County Water Agency, Russian Riverkeeper, Dry Creek Rancheria, and Pepperwood Preserve are hosting. Come spend the day on the ranch with Oscar and Lorri Duckworth and their family. We’ll hear this family’s story and philosophy as farmers who work with the wild. We will meet a variety of farm animals (sheep, horses, chickens), and their wild neighbors, see fall foliage on the blueberries and relax beneath the oaks on this beautiful property for a bring-your-own-lunch picnic. There will be an easy 1.5-mile hike on these beautiful 80+ acres along Blucher Creek to watch for birds and bobcats. 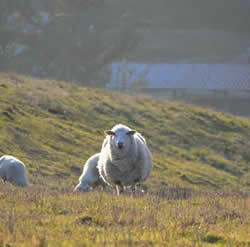 Afterward, we’ll teach wool-spinning by hand, using the Duckworth’s own sheep’s wool. This event will be wonderful for all ages, but especially great for children to come and get a full farm experience meeting animals and learning about where our food comes from. 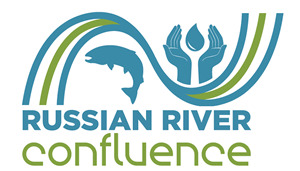 The Russian River Confluence, being held in Spring of 2017, is a landmark event to celebrate the Russian River watershed and deepen partnerships to ensure the watershed's future as a clean, thriving, and long-lasting foundation to our communities' well being. Leading up to the event are a series of tributary events structured to explore the many tributaries to the Russian River. Willow Creek is the westernmost tributary, feeding into the river before it empties into the Pacific Ocean at Jenner, CA. September 24th, 11am-3pm, Gold Ridge RCD, Stewards of the Coast and Redwoods and California State Parks will host a public tour of the Willow Creek watershed. 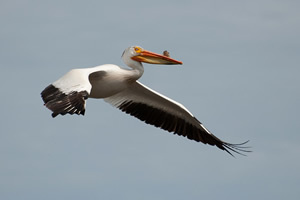 Our tour of one of Sonoma County's most beautiful natural landscapes will focus on native Pomo life, improvements to salmon habitat in Willow Creek and the dramatic connection between upland forest and sea. Watershed health, local ecology and the checkered history of the watershed will be discussed as we drive to the site and hike the canyons. Un Dia De Campo: Vamos a Conocer Una Lecheria De Ovejas! Gold Ridge RCD is hosting its first Spanish language outing. Attendees will tour Haverton Hill Creamery, taste rich sheep's butter and ice cream, and meet a dedicated family farming in beautiful Bloomfield, CA! Quiere pasar un día estupendo afuera con su familia y comida maravillosa? ¡Acompáñenos en una excursión única y sométase a la belleza e historia de Haverton Hill Creamery, la lechería de ovejas mas grande del estado! ¡Haremos un tour de la lechería y probaremos deliciosa leche de oveja, mantequilla, nieve y socialicemos con la familia Adiego y su manada de 900 ovejas! Este es un evento especial para visitar a un rancho privado. Pagadores de impuestos del Condado de Sonoma como usted han salvado este e otros ranchos de agricultura para siempre. ¡Ahora, usted tiene la oportunidad de ver como usted ha hecho una diferencia! Tour private agricultural property to meet the birds and farmers who share the Estero Americano. Please join us to learn more about tools to help Green Valley-Atascadero Creek Watershed and Dutch Bill Watershed landowners manage their water. Presentations will focus on recent efforts to study groundwater and streamflow and the opportunities to increase water security for residents and wildlife. Please join us to learn about what local agencies are doing to address the perennial flooding at Green Valley Road. Representatives from local organizations will present recent studies of the causes of Green Valley Road flooding and the potential short and long-term solutions.